Predominately hailing from Milwaukee, Wisconsin Dorydrive is an alternative, pop rock act that has infected listeners all over the globe! Originating in Nashville, TN Dorydrive’s hybrid of pop, country, and rock has captivated all who listen, and their public demand has kept them on the road for the better part of 2 years. Garnering attention from A&R executives including Atlantic, Universal-Republic, Eleven Seven, and RCA in 2013. Dorydrive is sure to make their move to the national stage whether signing to a major or continuing as an independent utilizing fan support. Dorydrive sprung into life in the early spring of 2010. The bands make-up consists of Mathieu Nevitt former front man of Atlanta, GA based (Rock Ridge/Warner) active rock group Echovalve, along side the quartet of Joey Zak, Tom’e LaBrosse, Henry Koller, and Nicholas Mendini of the Milwaukee, WI power house Marashino. Seasoned veterans excited to embark on a new chapter, Dorydrive continues to tour relentlessly and has had the pleasure of supporting Alice Cooper, Iron Maiden, Sevendust, Fuel, Candlebox, James Durbin, Adelita’s Way, Pop Evil, Hinder, Hollywood Undead, 10 years, and so many others. 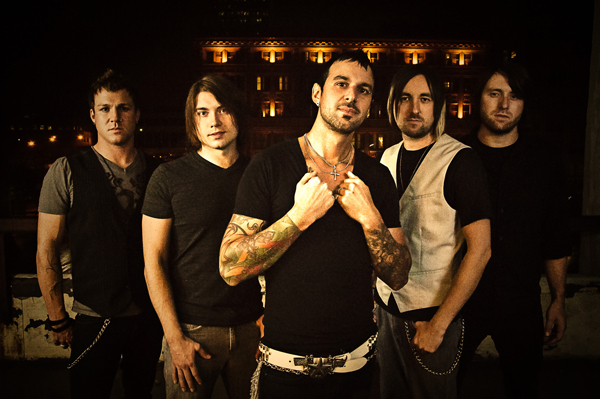 In late 2012 DORYDRIVE independently released their freshman album (Calling on Angels). With thousands of copies sold and a couple awards to boot, the album was an indie success. DORYDRIVE anticipates their follow up to be available late 2013 or early 2014.